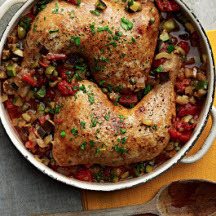 CooksRecipes has quality, kitchen-tested recipes for chicken dishes from Middle Eastern countries that you can count on for successful deliciousness. 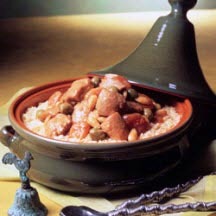 One of the most sensual cuisines in the world, Moroccan food has spices and flavors that appeal to the smell, sight and taste. 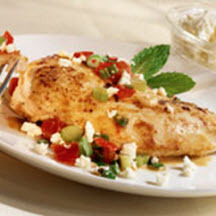 Sautéed chicken cutlets served with a quick Middle Eastern-spiced pan sauce of fresh diced tomato, green onions, fresh mint and crumbled feta cheese.